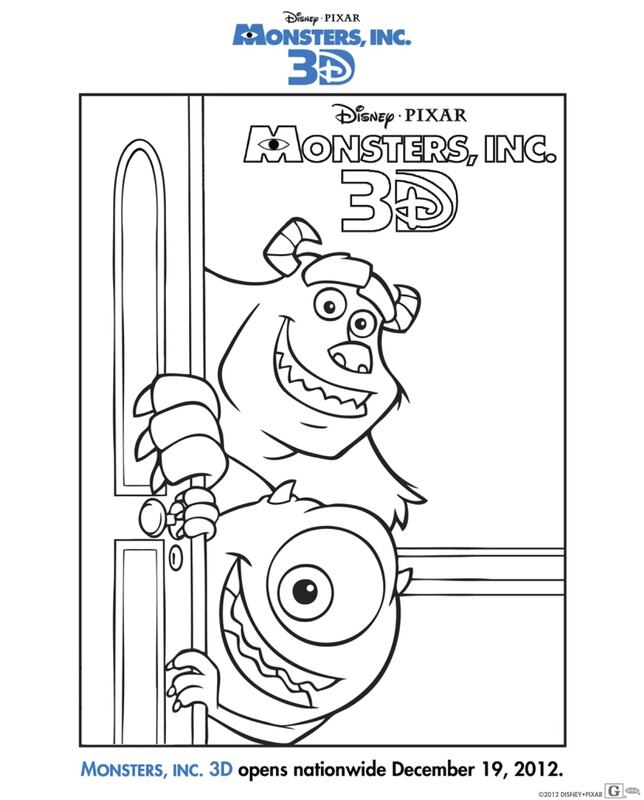 Are you looking for Monsters Inc 3D coloring pages? I have 4 to share!! Click on the thumbnails below to open up the image. You will then have to click on the image AGAIN for it to expand to the full size. Right click to print. 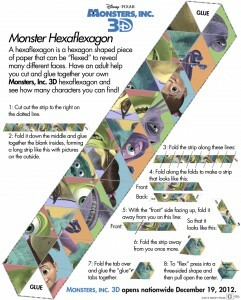 Monsters INC 3D hits theaters on December 19th!! Monsters, Inc.,” one of Disney•Pixar’s most beloved and visually imaginative feature films ever, returns to the big screen to delight a whole new generation of audiences and fans alike, this time in stunning 3D. 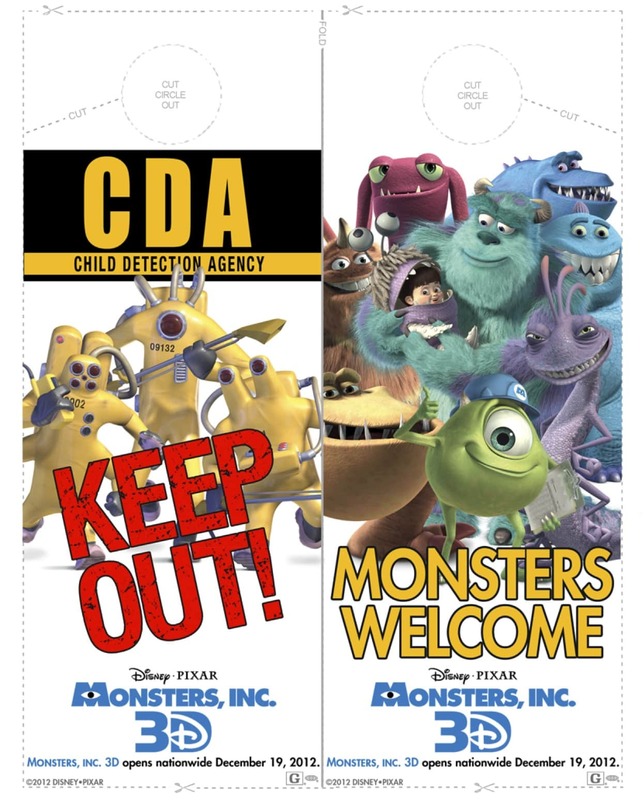 The now-classicAcademy Award®-winning animated comedy adventure “Monsters, Inc.” is setin Monstropolis, a thriving company town where monsters of all shapes and sizes reside. 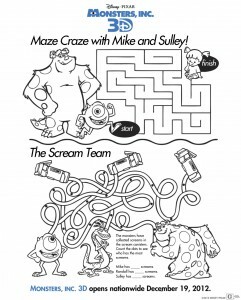 Lovable Sulley (voiced by John Goodman) and his wisecracking best friend Mike Wazowski (voiced by Billy Crystal) are the top scare team at Monsters, Inc., the largest scream-processing factory. 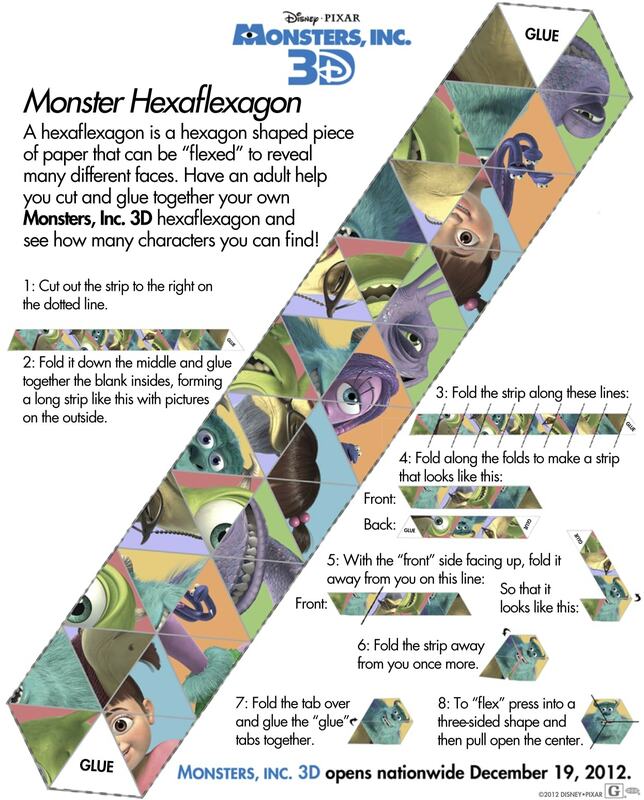 The main power source in the monster world is the collected screams of human children—and at Monsters, Inc., an elite team of scarers is responsible for gathering those precious natural resources. Believed by monsters to be toxic, children are strictly forbidden from entering Monstropolis. But when a little girl named Boo (voiced by Mary Gibbs) accidentally follows Sulley back into his world, he finds his career in jeopardy and his life in utter chaos. 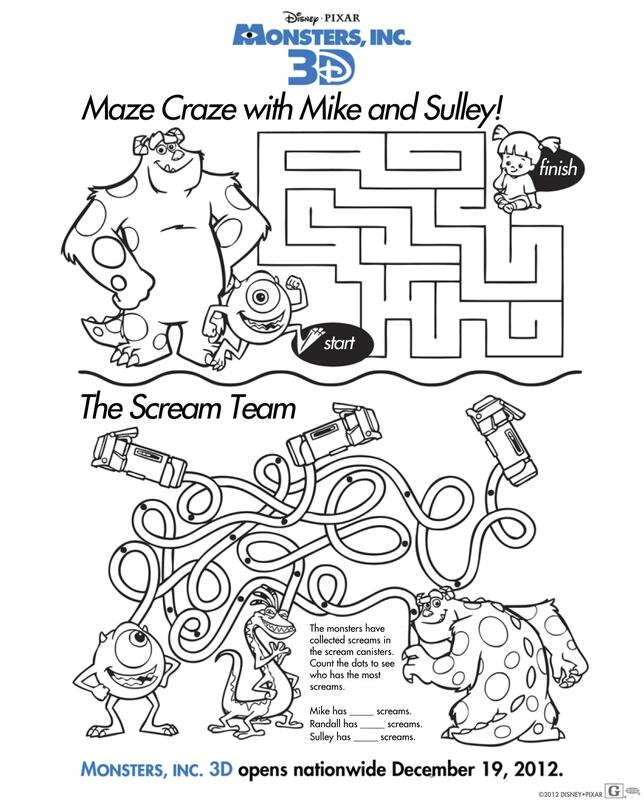 So pals Mike and Sulley plot to rectify the mistake and return Boo to her home. But when the trio encounters an unexpected series of complications, they become embroiled in a cover-up catapulting them into a mystery beyond their wildest dreams.